Chrysler Repair in Orlando | C & G Auto Center Inc.
Our auto repair specialists at C & G Auto Center in the Orlando, Davenport, and Winter Park area would love to work on your Chrysler. So if you’ve been searching for an auto mechanic who knows something about Chrysler vehicles, then your search is over. We have all the know-how to give your Chrysler a quick tune-up or thorough maintenance you need. Our customers with Chryslers are a special breed--they love their Chryslers for the power and luxury, and wouldn’t give them up for the world. In fact, sometimes they want to make sure which auto repair technician is working on their Chrysler vehicle. 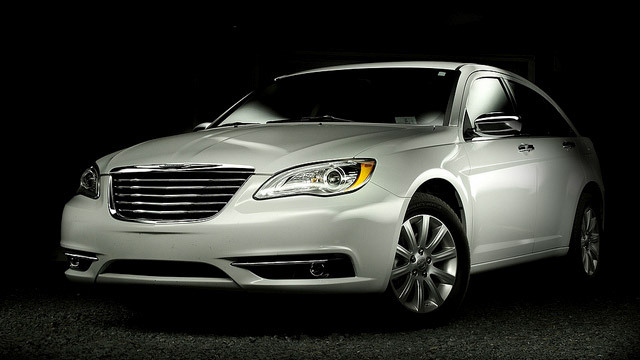 If your Chrysler needs some tender loving care, we can certainly help you here at C & G Auto Center. As much as you love your Chrysler, we love to fix them. As they age, they will need some repairs, just like any vehicle. We’ve been around cars for many years and have seen Chryslers galore. We have twelve bays, four technicians, and two service advisors. If you’re here in the Orlando, Davenport, and Winter Park area as a tourist, we’ll give you a reasonable rate, as well as a nationwide warranty of 24 months / 24K-miles for your peace of mind. We can shuttle you to the amusement park while your vehicle is getting some TLC! We also have a special deal with a towing company, and we can deliver the car for you, so you can spend your day with your family instead of sitting around! “Friendly, quick and reliable service. They explain everything so you have a complete understanding of what's going on with your vehicle. Clean garage and waiting area. You can just pop in and boom your car is done. No hassle!” -- Monique G.
If you’re like Monique, and you’d like a no-hassle experience, pick up that phone right now and call. Our auto technicians are not just friendly, they are technically savvy and committed to your safety. Schedule an appointment today, or stop by. C & G Auto Center is located at 4155 W. Oak Ridge Rd., Orlando FL.